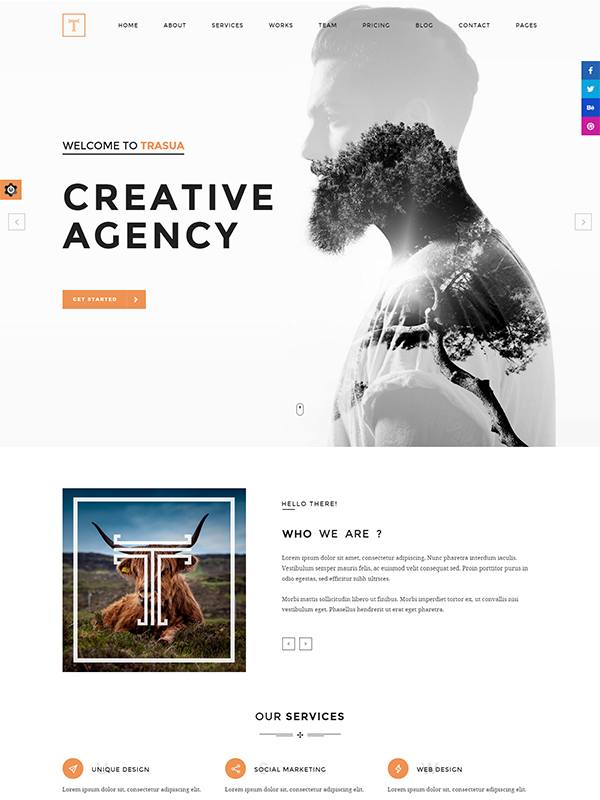 Bestowed with responsive structure, Trasua is a superbly designed HTML5 template that can ease the development of website for creative agency and other. This powerful template has been designed using the mobile first approach. The coding file features less CSS that enables the website owner to change the color of different components with the utmost ease. This mobile-friendly template works well on all the mobiles in a hassle-free manner and renders uniform display across all the devices. This template is well-developed and tested; therefore, it can be integrated with the website easily. Brilliantly designed with retina-ready resolution to deliver crystal clear picture for better mobile experience. 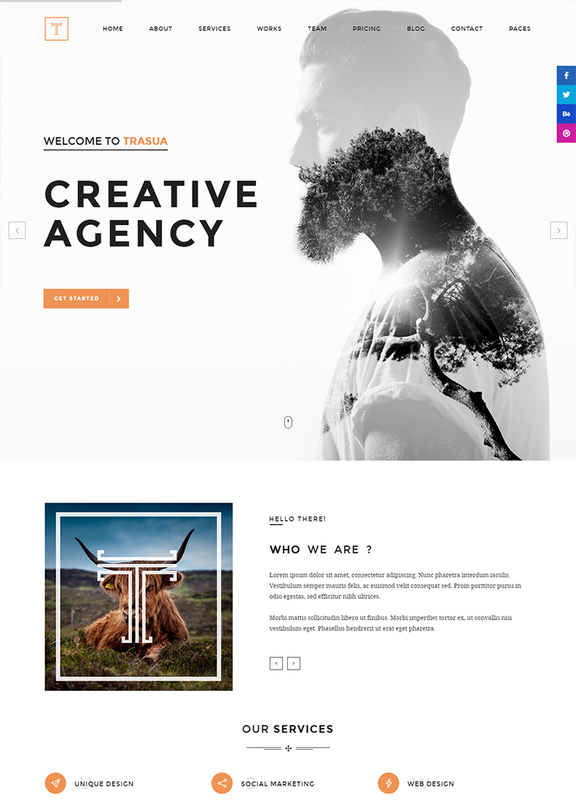 The Trasua template features the collection of awesome fonts to give a unique design to the website. For a quicker response to the visitors, all the forms in this amazing template come with proper JS validated coding. Optimized & valid HTML as well as CSS codes are used in the development of the template to ensure hassle-free usage. This template is brilliantly designed to be loaded faster that can give a push to the creative business and improve productivity. Designed with Bootstrap3, this Trasua template is highly intuitive and mobile-centric to ensure all mobile users can access it. 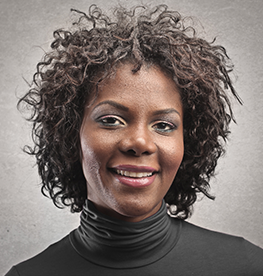 Allow the users to choose the different colors and variation in order to give a fresh look. Loaded with multiple gallery pages, this template empowers the users to maintain the portfolio at ease. The superb revolution slider with template makes it easy for the visitor to explore the website page. Provided with an array of different home page layouts that enable the users to give the unique design to the home page. The multiple Google fonts with the template make it easier for the users to make content alluring. 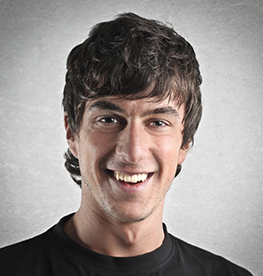 Installed with superb blog pages that enable the website owner to manage and publish the blog on the website.